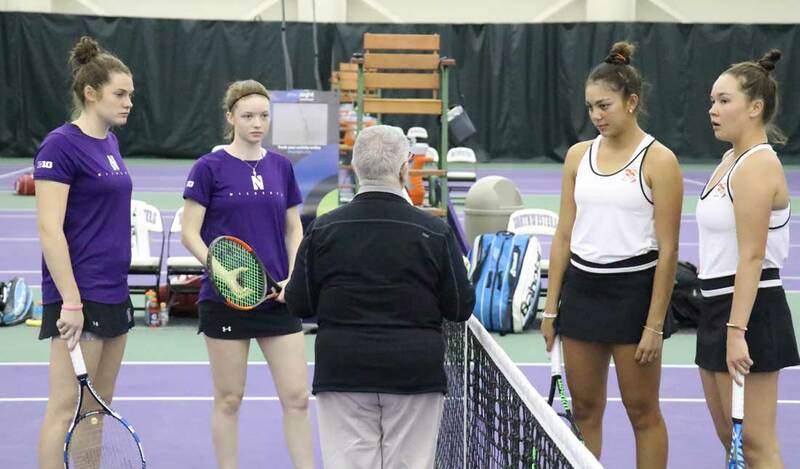 Northwestern University sophomore Caroline Pozo – roughly midway through the third set of her match against Miami’s Carla Girbau – noticed that teammate Inci Ogut had just defeated her opponent in a three-set battle on the adjacent court. Ogut’s 6-2, 6-7, 6-1 win over Miami’s Yuna Ito at the No. 4 position tied the team match score at 3-3. That set the stakes. Pozo’s match at No. 6 would determine which team would head to the Intercollegiate Tennis Association (ITA) National Indoor Team Championship. Pozo would go on to win three of the final four games of the match to clinch the 4-3 win against No. 17 Miami and send the Wildcats to the ITA National Indoor Team Championship on Feb. 8-11 in Seattle. Just 16 teams nationally qualify for the ITA Indoor Championship, and this is the first time the Wildcats have managed to qualify for the tournament since 2014. Now up to No. 12 in the rankings, Northwestern advanced from a four-team regional field as part of ITA Kickoff Weekend in Evanston Jan. 26-27 that also included Tulsa, No. 23 Central Florida and Miami. The Wildcats defeated UCF 4-3 on Saturday, while Miami knocked off Tulsa 4-1, which set up the deciding finale on Sunday. “Last year, we were so close, but then we lost a 4-3 heart-breaker to UCLA, so we really wanted to qualify for the National Indoors this year,” junior Julie Byrne said. Playing against UCF, Northwestern fell behind early. “(Saturday) was a test for our team, losing five out of the six first sets. We all kept our heads up, and continued to work and trust in each player,” Byrne said. With the Wildcats facing defeat, down 3-2 in the match, Byrne and senior Rheeya Doshi each staged a three-set comeback after dropping their respective first sets. “We’re off the court too quickly in our losses, and that just puts so much stress on the girls who are still out there,” Pollard said. On Sunday, Pollard stressed three things to her team against the Hurricanes: offense, patience and discipline. 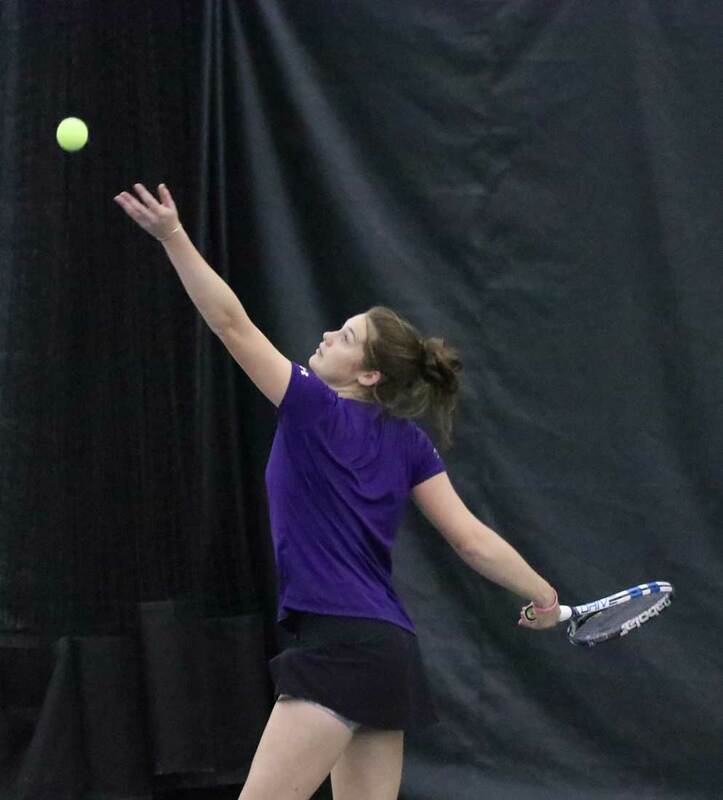 Securing the doubles point was crucial for Northwestern, as it ended up being a deciding factor in both matches. The pair of wins lifts Northwestern to 3-1 on the season with a trip to No. 2 Vanderbilt looming on Feb. 3 before the Wildcats make their way to Seattle. “It doesn’t get any easier,” Pollard said.